Home>Blog>What Is Perlite And How Is It Used To Grow Cannabis? 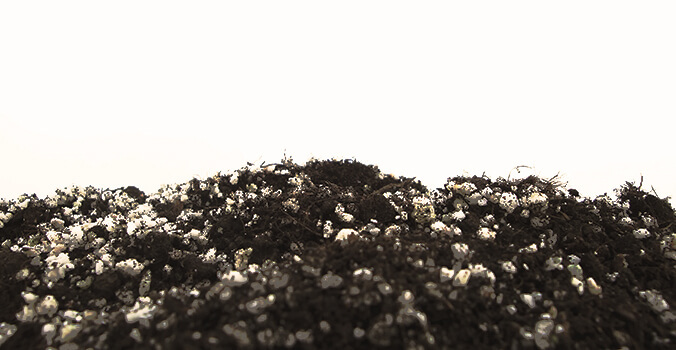 Perlite is a common addition to potting soils, being highly favoured for its excellent drainage capabilities. Thankfully, cannabis can also benefit from this highly versatile growing medium. Perlite allows growers to mitigate some of the risks when overwatering, and helps maintain better control over pH levels. Keep reading to find out more. Soil is often favoured for its ability to retain natural organisms and moisture. However, these benefits can quickly overwhelm plants and lead to a string of problems. This is where perlite steps in to counterbalance some of the negative qualities of soil. In typical applications, perlite is mixed with soil to create a growing medium that has improved drainage, but still retains the soil’s natural attributes. The result is a healthier, stronger cannabis plant that can produce better yields. We’ve alluded to how versatile perlite is, but if you’ve never used it before, you may be wondering, what actually is it? Perlite is an inert substance (pH 7.0) that starts life as obsidian, a type of volcanic rock. Over time, the rock will have absorbed moisture from its surrounding environment and once mined, is crushed into smaller pieces. When the crushed obsidian is exposed to extreme temperatures (850–900°C), the moisture inside evaporates, forcing the rock to expand rapidly. The result is a popcorn-like substance that is incredibly light, with a brilliant white appearance. Having been “popped”, perlite is now ready for commercial distribution. The growing medium can be found in garden centres the world over, appreciated for its airy structure and improved drainage qualities. When buying perlite, three grades are available: fine, medium, and coarse. For growing cannabis, “fine” perlite is the preferred option. WHAT IS THE BEST WAY TO USE PERLITE? 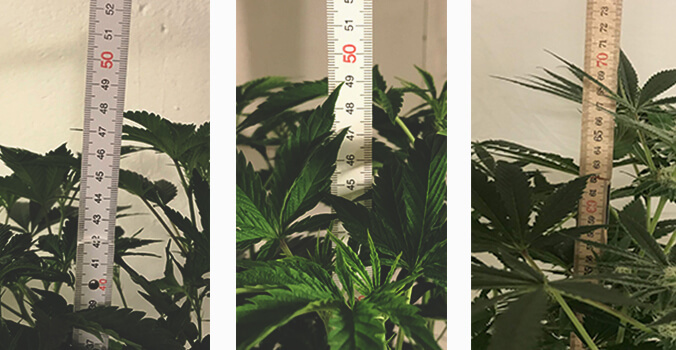 While it is possible to grow cannabis using a growing medium consisting entirely of perlite, this approach is most commonly used in hydroponics and requires advanced growing knowledge to get the best results. In the majority of scenarios, perlite will be mixed with soil or coco coir to create a balanced medium for growing cannabis. 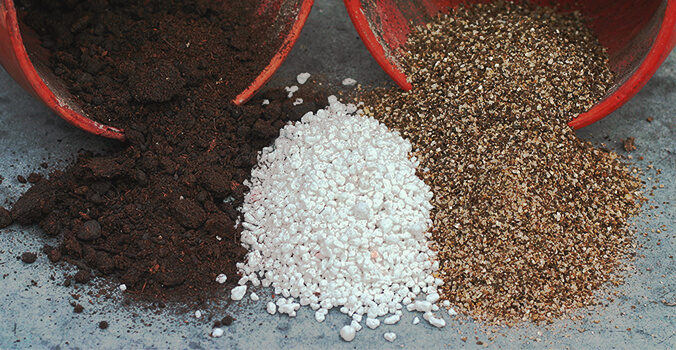 For both soil and coco coir, you can add between 10–50% by volume of perlite. If you are planning a modest nutrient cycle, aim to use between 10–20%. This volume of perlite provides a middle-ground between moisture retention and runoff. If, however, you intend to use a lot of added nutrients or supplements, a 30–50% perlite mix can negate the risk of nutrient lockout from the plant being overloaded. At this level of concentration, the leaching of nutrients will be high because of the increased drainage and subsequent water runoff. • Increased oxygen levels form because of the air pockets created by perlite. Roots thrive on oxygen, so expect improved rates of growth. • Being inert, perlite will not upset nutrient concentrations. • Ideal for clones, as the lightweight structure of perlite means roots can penetrate easily. • The decreased weight means handling potted cannabis plants is much more comfortable. 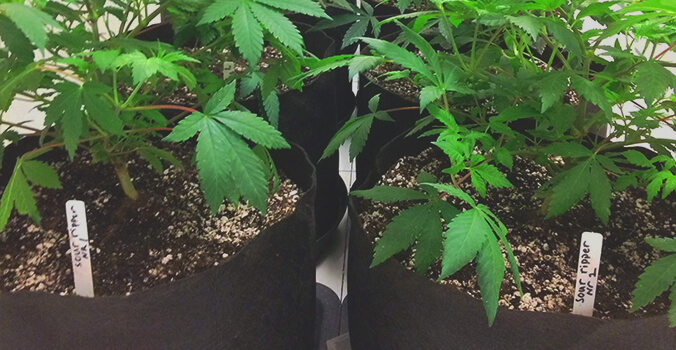 The benefits stack up when you are cultivating multiple plants. • The increased drainage can magnify the frequency of watering routines, so you will need to keep a close eye on plants. • Leaching of nutrients means careful control of pH is needed to maintain an optimal environment. You will need to pH test runoff every time you water. • If you need to leave a plant for an extended period, it will not cope well, as it is more reliant on your input. • For hydroponic systems, perlite needs to be washed first. There is a fine dust that covers the substance, which, if left, can clog systems. Many of the disadvantages of using perlite can be easily mitigated. This makes the benefits significantly more accessible, and in nearly all scenarios, perlite is an essential addition to growing cannabis. It can be used with soil and coco coir, although it's worth noting that the partnership between perlite and coco is particularly unique. Coco coir does an excellent job of retaining moisture, staying oxygenated, and being less vulnerable to pests than soil. In combination with perlite, you can create the perfect balance between drainage and water retention. As long as you have planned your nutrient routine, plants can really excel with a 50/50 coco-perlite medium. To find out more of the benefits associated with growing in coco coir click here. Now that we know what perlite is, how it’s made, and how beneficial it can be for potted cannabis, there seems little reason not to use it in your next grow. With the ability to improve yields and promote healthy growth, perlite could be your new best friend.